How much money is Diana Ross worth? 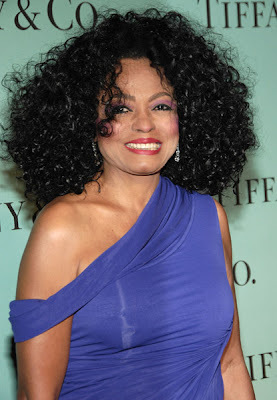 Diana Ross is an American singer and actress, known as lead singer of The Supremes, and for solo albums such as Touch Me in the Morning and diana. 6 Response to " Diana Ross Net Worth "
IT HAS TO BE MORE THAN THAT.CHECK IT AGAIN,AFTER ALL..THATS MS.ROSS.KAICYE. I can believe that. Diana always struck me as being a woman about business and not a Big Spender or brag about what she has. Also she still continues to Tour..all that money cant be spent if your constantly On the road like she did back the old Motown tour bus days. Its simply amazing a woman at close to 70 can do one nighters almost up to a month and still give her all smiling arms flashing voice flowing like its still 1965 and the Original Supremes are taking on the World hard. Diana is still out there showing the youngers How its done. What is amazing is that most of this came after her 1980 split with Motown. Had The Supremes been represented by true legal counsel and financial advisers outside of Motown, her figure would 3-5 times this 150. 95% of this money came after her split from Motown in 1981. Imagine what it would have been if her peak earning years were included! From 1964 - 1980, Miss Ross sold over 100 million records and was one of the highest paid and most frequent working entertainers in the world. My guess is that this number would be minimally 500 million had her contracts been prepared by an entertainment lawyer in 1961. Very sad that motown and Barry Gordy took major advantage of the earnings of the Supremes. What I find weird is that she reportedly was one of the highest paid divas in the 1970s, yet her leaving Motown in the 1980s was mainly due to lack of earnings she was being 'stiffed' on. She got all the perks, but she really wasn't paid what she should have been paid when with Motown. All that changed when she became the captain of her own ship and left Motown in 1981 - not an easy feat. From the get go she negotiated a $20million recording deal with RCA- the highest ever for any recording artist at the time.